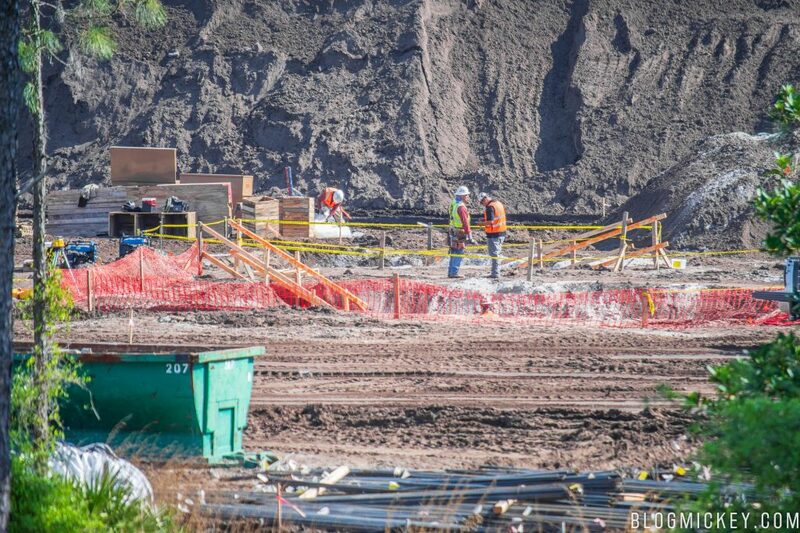 While everything is full steam ahead for Star Wars: Galaxy’s Edge, things have been moving at a much more leisurely pace for the Star Wars Hotel nearby. 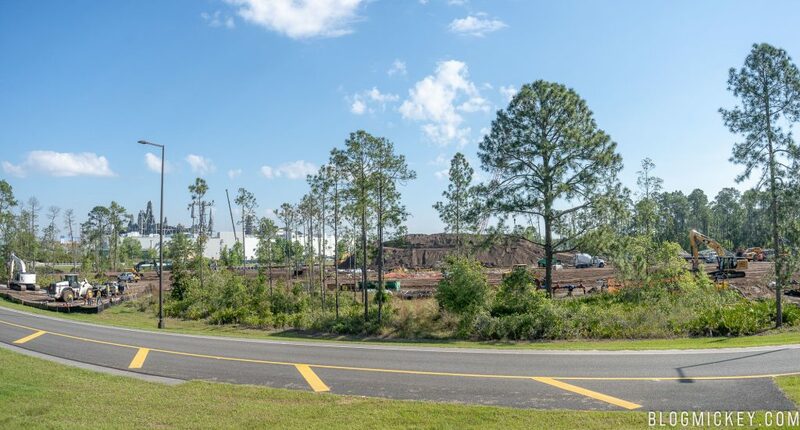 The hotel will be exclusive to Walt Disney World and is said to be a highly immersive, role-playing experience that will unfold over a few days during your stay. 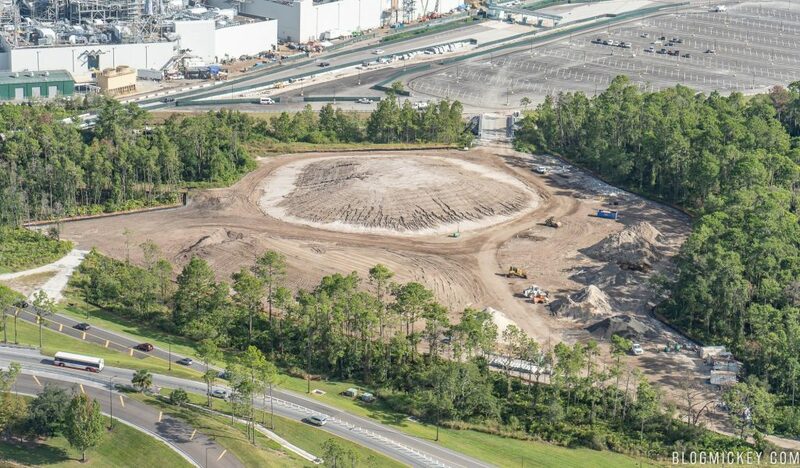 As an overview, here’s where the hotel will be located in relation to Star Wars: Galaxy’s Edge at Disney’s Hollywood Studios. Up until recently, this is what the site has looked like. Today, we stopped by to check on the progress and noticed that infrastructure work has begun underground for plumbing support and the like. 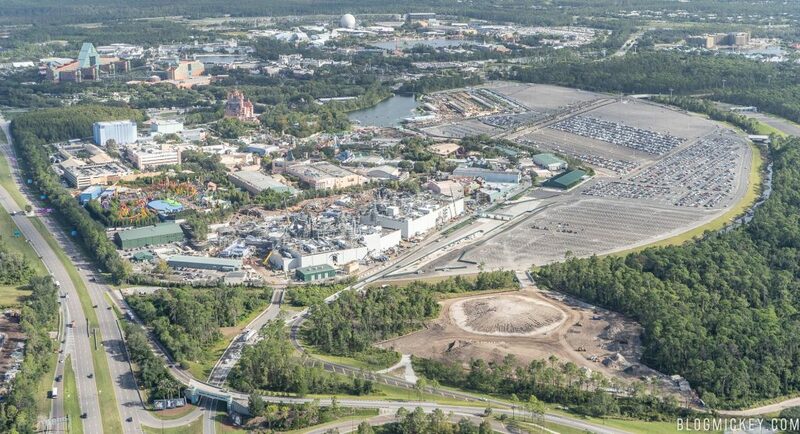 First, here’s an overview of the site with Star Wars: Galaxy’s Edge in the background. A closer look at the center of the construction site reveals new work taking place. An even closer look shows what appears to be stairs leading down to an open pit. 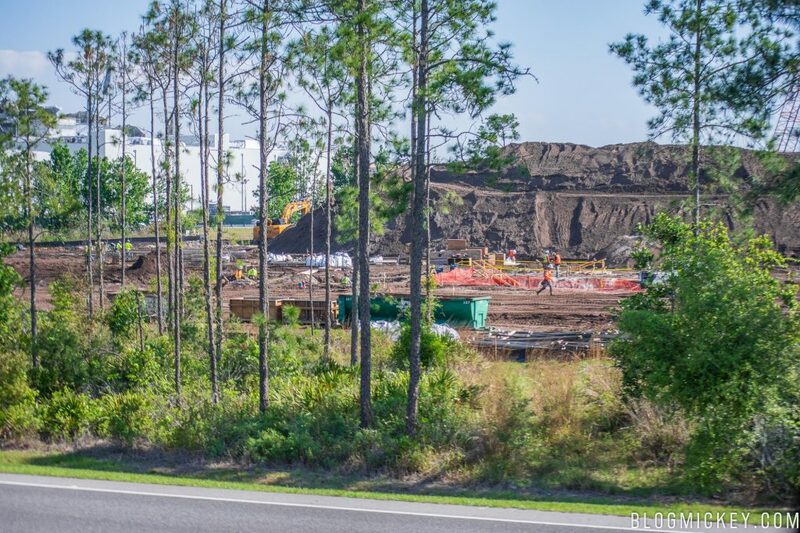 There are a couple of these points on the site and with a lot of the precast concrete pipes now underground, it appears that work has finally begun on the hotel, instead of just on land clearing. As always, stick with BlogMickey.com as we continue to update you on this and many more projects from around the Disney Parks.